Pacific Basin is a dry bulk shipping specialist. 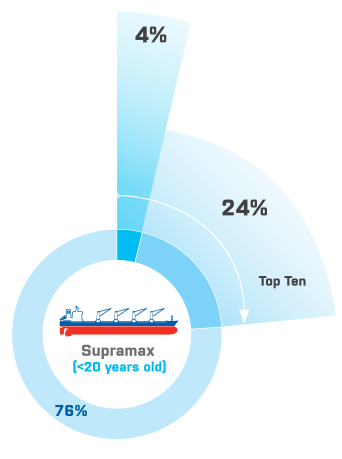 We are the world's largest owner and operator of high-quality Handysize ships with a significant presence also in the Supramax segment. We are the world's largest Handysize owner and operator (with a significant presence also in Supramax) in a highly fragmented market that revolves around the carriage of minor bulks. 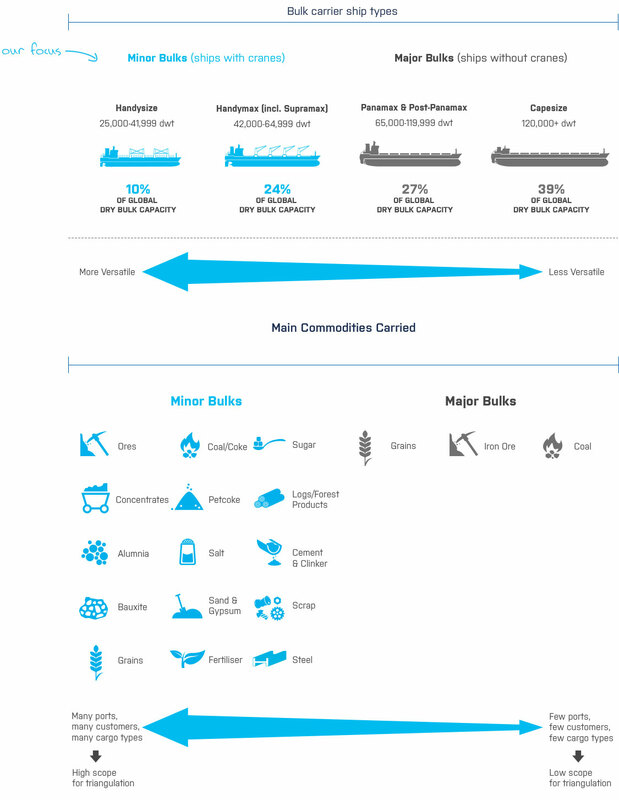 Minor bulk commodities are very varied, controlled by a large number of customers and transported via a large number of ports globally, enabling triangular trading and thus high vessel utilisation. 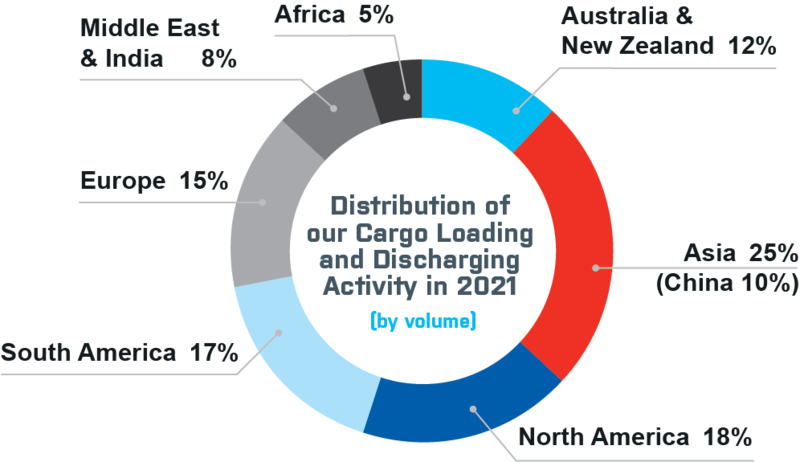 This segment requires versatile self-loading and discharging (“geared”) ships of “handy” proportions to allow them access to the many ports around the world restricted by shallow water, locks, narrow channels and river bends. By contrast, cargo demand for large bulk carriers comprises only a few major bulk commodities controlled by a handful of cargo owners and transported through a much smaller number of ports, making them heavily dependent on relatively few trades and hence their prospects are more volatile. Their activity is typically characterised by one-way laden transportation resulting in lower utilisation. We are focused on a particular ship segment and size, but are diversified geographically and in terms of customers and cargoes. This allows us scope to triangulate our voyages – such as by combining fronthaul and backhaul trades – and thus enhance our vessel utilisation and earnings. We do not participate in the volatile freight earnings that large bulk carriers can achieve, but we are well positioned to achieve our important aim of generating a steadier and more sustainable earnings stream with better protected earnings in the down-cycle through our business model. Our earnings reliability is further enhanced by the fact that global Handysize capacity has experienced only 27% growth in the past 10 years relative to the much larger expansion of the major bulk fleets. Our Hong Kong headquarters is home to commercial, technical, crewing and comprehensive other functions. 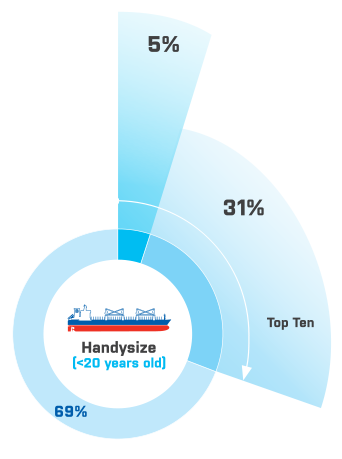 The Handysize sector is highly fragmented, but our scale sets us apart as a major freight provider able to offer reliability and flexibility for customers while benefiting from scale economies such as lower bulk purchasing costs and higher ship and fleet utilisation. Our business model, know-how and understanding of shipping cycles enable us to outperform throughout the cycle, manage our balance sheet, and remain a strong and reliable counterparty for our customers even in weak market conditions. Our drive for fuel efficiency ensures that emissions concerns are aligned with our strategy, and our award-winning in-house technical operation ensures we meet all regulatory requirements and industry best practices. Our industry is challenged by a short supply of seafarers and shipping executives, but the strength of our employer brand, industry network and personnel function allows us to attract and retain the staff we need.